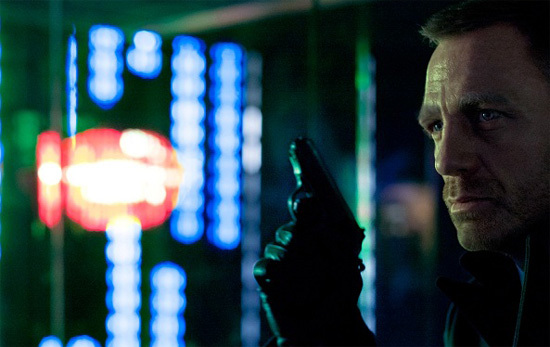 Daniel Craig Is James Bond In The First Official Image From Columbia Pictures 'SKYFALL'! 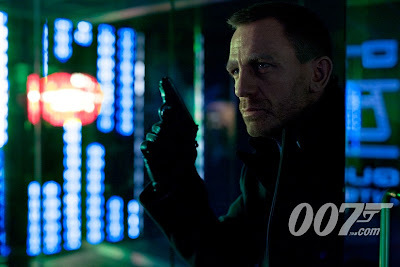 Columbia Pictures have released the first official image from Sam Mendes' Skyfall, featuring James Bond [Daniel Craig] on duty in Shanghai. The movie hits theaters November 9th & also stars Javier Bardem, Dame Judi Dench, Naomie Harris, Berenice Marlohe, Ralph Fiennes, Albert Finney, Ben Whishaw, Helen McCrory & Ola Rapace. In Skyfall, Bond's loyalty to M is tested as her past comes back to haunt her. As MI6 comes under attack, 007 must track down & destroy the threat, no matter how personal the cost. Hit the jump to check out the image. I'm reading: Daniel Craig Is James Bond In The First Official Image From Columbia Pictures 'SKYFALL'!Tweet this!